In addition, research shows that there may be a link between diet cola consumption and weight gain, as well as cancer and diabetes, so if you’re a diet soda junkie, try to cut back. Our five tips will help you kick the habit. If you don’t drink soda, you’re not safe, though: Potassium benzoate often shows up in seemingly innocuous foods such as apple cider, low-fat salad dressings, syrups, jams, olives, and pickles, so read labels. 2. Corn: Don’t panic-you can enjoy your corn on the cob if it’s non-GMO; we’re talking about modified cornstarch, dextrose, maltodextrin, and corn oil here. All are high in omega-6 fatty acids, which can promote inflammation, cancer, and heart disease. While your body needs both omega-6 and omega-3 fatty acids to perform at its full potential, most experts recommend an omega-6 to omega-3 ratio of 1:1-currently most Americans consume about 15 times more omega-6 acids than omega-3s, according to Valerie Berkowitz, R.D., director of nutrition at the Center for Balanced Health and author of The Stubborn Fat Fix. Unfortunately corn products and other foods high in omega-6s are hard to avoid. “Because they’re cheap, they’re in almost every product you buy, and therefore you eat more of them,” Berkowitz says. However you can cut back by gradually phasing out foods such as margarine, vegetable oil, and soy, and, while you’re at it, boost your omega-3 intake by adding salmon, grass-fed beef, halibut, chia seeds, and walnuts to your diet. The main problem is that 92 percent of soy products in the U.S. are genetically modified, Berkowitz adds. “If you really can’t avoid it or are considering going vegetarian or vegan, try to stick with organic soy and don’t eat more than three servings a week.” She recommends beans, nuts, or sprouted grains such as quinoa or millet as good vegan protein sources, as well as cage-free eggs for vegetarians. Although it has GRAS (generally recognized as safe) status by the Food and Drug Administration (FDA), it’s been shown to cause cancer in animals, raising concerns among the healthy living community that the additive could be carcinogenic to humans as well. Upton recommends minimizing the amount of oil-containing processed foods you eat because they’re bound to include BHA. 5. Fractionated palm kernel oil: Fractionating oil is a process most often used on palm and palm kernel oil that involves heating the oil, then cooling it quickly so that it breaks up into fractions (hence the name). The fractioned oil is then passed through a filtration process, during which it’s separated into liquid palm olein and solid palm stearin components. Don’t worry if you’re confused (we are too!). The key thing is that the filtration process separates out most of the liquid part of the oil, leaving a high concentration of solid fat behind. 6. MSG: Made famous by the “Chinese restaurant syndrome,” MSG is a flavor enhancer commonly added to Chinese foods and products, as well as canned vegetables and soups and some meats. It’s officially recognized as a food that’s safe to eat in small quantities, but because a proportion of the population experiences an adverse reaction, including migraines and increased appetite, it remains controversial within the healthy living community. For this reason, it’s required to be on the label whenever it’s added to a food, and it’s not allowed to be added to infant formula or foods for toddlers. 7. Artificial flavorings: Artificial flavorings offer absolutely no nutritional value and are the markers of processed food, says registered dietitian and author Dawn Jackson Blatner. They show up in almost everything today, including bread, cereals, flavored yogurt, soups mixes, and cocktail mixers, so they can be hard to avoid. Your best bet is to go for the real thing whenever possible. “For example, if you want to have whipped cream, have a little bit of real whipped cream, not whipped topping, which is also full of hydrogenated oils and high fructose corn syrup, or instead of spray butter, cook with a little bit of real butter or olive oil,” Jackson Blatner says. 8. 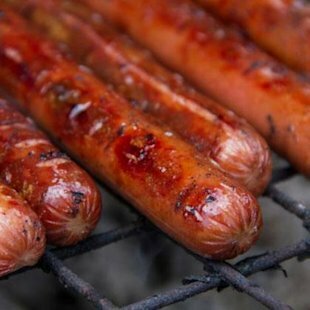 Sodium nitrites and nitrates: “Nitrites are added to meats such as hot dogs, bacon, and deli meats as a preservative, but they may form nitrosamines when in the body, which may promote cancer growth,” Dr. Gerbstadt says. In fact, a 2009 study found that kids who ate cured meats or fish more than once a week had a 74 percent greater risk of leukemia than children who rarely ate those foods. Try to limit your consumption of cured meats to no more than three per week and avoid hot dogs entirely if you can: A 2011 study found that even organic and “natural” hot dogs contained anywhere from one-half to 10 times the amount of nitrites than conventional hot dogs did, and that natural bacon had between a third and three times the amount of nitrites of conventional bacon. But don’t worry about the nitrates and nitrites found naturally in vegetables-the antioxidants in veggies inhibit them from converting into harmful compounds. 9. Enriched wheat: Whole grains can be part of a healthy diet, providing essential nutrients such as fiber and minerals, but unless that package of bread you’re holding has “100 percent whole-grain” listed as the first (and ideally only) ingredient, it probably only includes a a few whole grains mixed in with enriched wheat flour as the main ingredient. While enriched unbleached wheat flour beats out refined white flour nutritionally speaking, the benefits are minimal since the germ and bran of the are still stripped out during the refining process. Essentially, enriched flour is refined flour that has had a few nutrients re-added to it, but not enough to make it worth the calories. For example, two slices of white bread has about 150 calories and 1.5 grams of fiber, while the same serving of whole-wheat bread provides about 14 calories and 4 grams of fiber, plus more of pretty much every vitamin and mineral found in bread. So go for the grain, the whole grain. This entry was posted in Acidity and The American Diet, acidosis, Alkaline Athlete, Alkaline foods, alkaline water, Alkaline Water Helps With Aging, Baseball, diabetes, Dr. Robert O. Young, Dr. Robert Young, filtered water, football, Health, Health Research, Health Studies, healthy news, Ionized Water, Micro-Clustered Water, Mud Run Camp Pendleton, Osteoporosis, raw people, raw vegan, Reasearch Studies, Recipes, Sports, Sports Drinks, The Benefits of Alkaline Water, vegitarian, water ionizers, water quality, water report, weight loss and tagged acid, acidosis, alkaline, alkaline athlete, alkaline life style, alkaline water, archives of internal medicine, athlete, Benefits of Alkaline Water, diabetes, fitness, food, football, harvard school of public health, health, health issues, Health Research, Health Studies, healthy diet, healthy-living, heath benefits, high ph water, hydration, Ionized Alkaline Water, ionized water, ironman, life, life style, living life, mental-health, Micro-Clustered Water, miracle brew, nutrition, part of the small intestine, raw food, raw people, Science, Sports, sports hydration, travel, vegan, water, water ionizers. Bookmark the permalink.